How to control rending/layer order of outputs from QGIS 3.0 processing modeler? To move layers whose name start with "A" to top of the layer tree, use that code. Not the answer you're looking for? Browse other questions tagged qgis layers qgis-processing qgis-3 draw-order or ask your own question. Programmatically naming outputs from the QGIS Modeler? Handling multiple outputs in QGIS 3.0 Processing plugin? 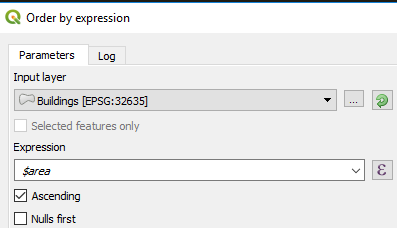 How to use optional inputs in model processor for QGIS 2.18/3.0? How to use a relative path in QGIS 3.0 Processing Modeler? How can I adopt updated qgis\python\plugins\processing\algs\saga\description txt files?